ActiveDataTools is a huge collection of tools for working with data. 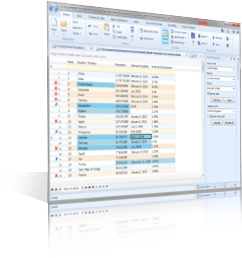 ActiveDataTools helps you manage, convert and cleanse your data more effectively. Using ActiveDataTools, you can read and write dozens of popular data formats, correct and format data, query and filter information and quickly validate datasets. It's like a Swiss Army Knife for your data. Over 100 powerful data cleansing functions. Connect to many different data sources. Convert data from one format to another. Powerful queries, pivots and analysis features. Generate incredibly realistic test data. ActiveDataTools contains hundreds of ways to manage your data, like correcting padding and letter case, making date formats consistent, correcting number fields and more. We’re delighted to announce that we’ve released a connector for Sage Line 50 Accounts. 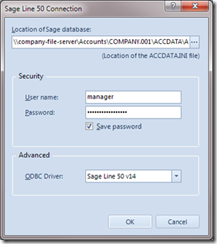 This new connector means that you can easily import data from any Sage Line 50 database, such as invoice lists, customers lists and nominal accounts. To get the module, all you need to do is download it from the version update screen. The next to you run ActiveDataTools, you will then see a new option on the Enterprise Systems menu. When you click this menu option, the connection setup window will appear, where you can enter the appropriate connection details. 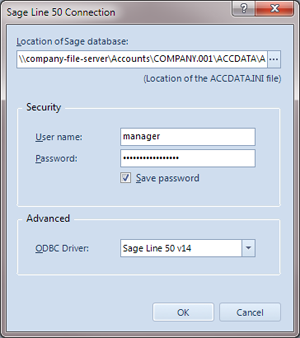 All you need to do is locate your ACCDATA.INI file and specify the username and password here When you click OK, all the Sage tables will appear. Today we released a powerful new feature in ActiveDataTools that enables you to create your own extensions. This means that you can now connect ActiveDataTools directly to your own systems, without having to use generic database drivers, etc. This fantastic new feature provides you with the ability to create really powerful imports and exports, that delve deep in to your enterprise systems and that work the way you want them to. Some of our clients have created their own extensions to read customer data from their SharePoint site and save data to their corporate CRM system. For more information about this powerful new feature, check out www.activedatatools.com/developer.